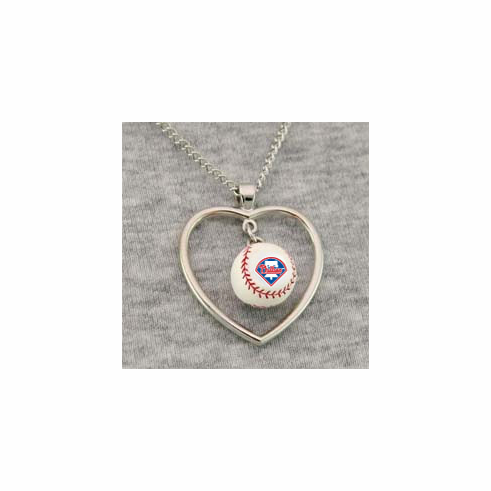 Show your love for the Phillies with this heart-shaped baseball pendant necklace. Silvertone heart charm with 3D baseball charm inside. Heart measures appx. 1" tall. Necklace measures appx. 17.5" in length.